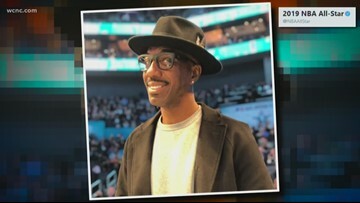 The Queen City was home to plenty of A-list celebrities during the 2019 NBA All-Star Weekend, including Kendall Jenner, Jamie Foxx and Ludacris. 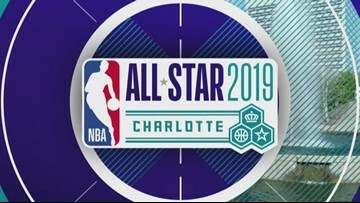 More than 150,000 people are expected to be in Charlotte for NBA All-Star weekend. 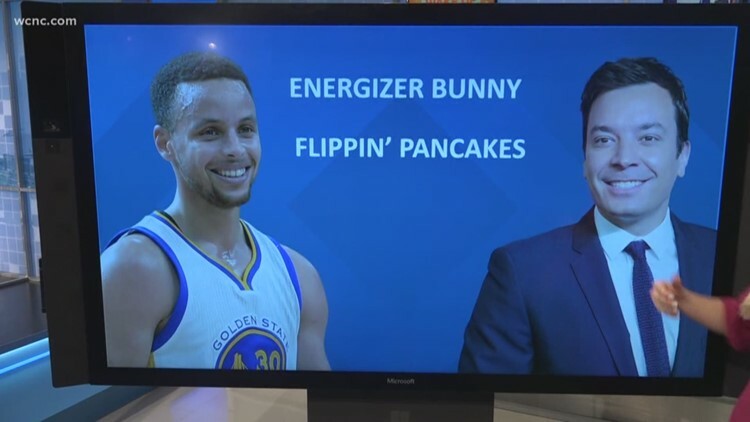 Here's a live look at what's happening around town. King James and his crew aren't the only winners. 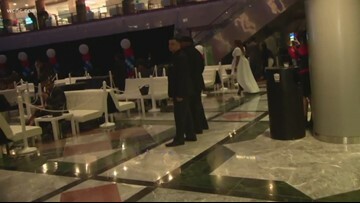 Two Charlotte charities will rake in half a million dollars for their respective missions thanks to the event. 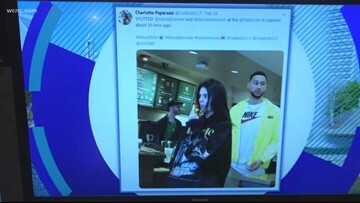 Dozens of celebrities were in Charlotte for All-Star Weekend, visiting clubs, restaurants, and even the mall. Many of them made their way to the Spectrum Center for the big game. 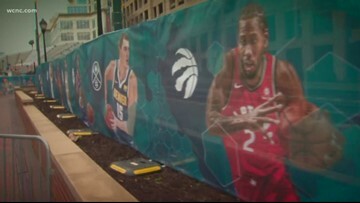 As the All-Star Game ends, the Queen City will still be filled with fans and celebrities looking to celebrate the weekend. 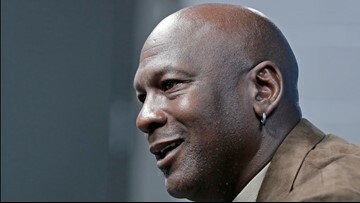 Deloris Jordan spoke to a group of about 100 mothers of current NBA players at a steakhouse in Charlotte. The 48-year-old's stirring rendition of the "Star Spangled Banner" sounded more like "Sitting on the Dock of the Bay". The 38-year-old North Carolina Music Hall of Famer stopped singing the national anthem back in 2016 in support of former NFL player Colin Kaepernick. 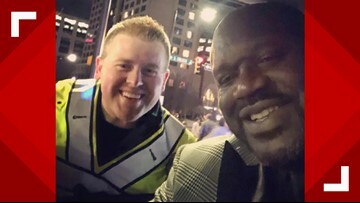 The former NBA Star stopped to take a selfie with Officer Caleb Costner. 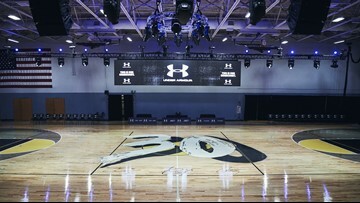 The Carole Hoefener Center in uptown is now home to Curry Court, Curry Kitchen, and much more thanks to the Stephen and Ayesha Curry Family Foundation, Under Armour, and Chase. Scammers target eager fans, selling phony gear that looks similar enough to the real deal to convince you to spend. 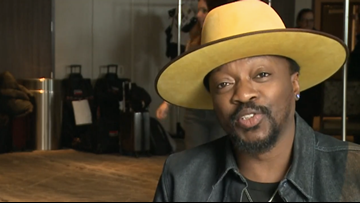 NBC Charlotte looks into how to spot fake merchandise. Saturday night was star-studded in uptown Charlotte, as rented-out parties filled with familiar faces. Fans lined up hours ahead of Sunday's game, eager to get inside and watch the finale for the NBA All-Star Weekend. 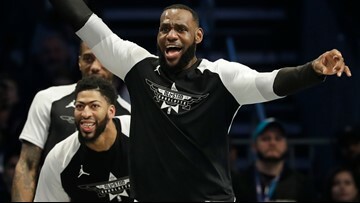 "We then made a decision that it was inconsistent with the values of this league to play the All-Star Game here under those circumstances," Adam Silver said. 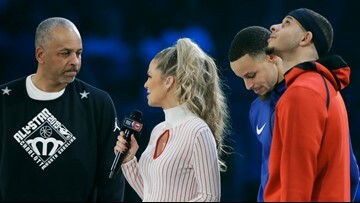 In a throwback photo posted to Instagram, Steph Curry explained the reason for his colorful jacket on Saturday at the All-Star dunk contest.